Categories: 4-20 mA, Digital, Output, Type Of Transmitter, Transmitters, Approvals, ATEX Ex ia, Input, RTD, Thermocouples, Universal, Isolation, Isolated, Measuring Channels, 2 Measuring channels, Design, Rail Mounted. 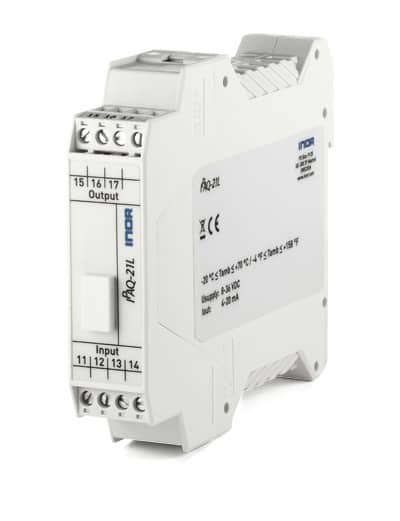 IPAQ-21LX is a 1-channel, universal, isolated 2-wire transmitter for Ex-applications.No zener barriers or Ex power supplies are needed, which reduces costs for purchase, design and maintenance. IPAQ-21L is a 1-channel version for non-Ex-applications.